C C N Radio -  An epic journey of new discovery so fantastic that our natural instinct would be to block it out. Johan Oldenkamp discovered that the Giza pyramids in Egypt together with the Great Sphinx form a kind of clock (or calendar). This clock represents the third dimension of time. Plato referred to this third dimension of time as the ‘Great Year’. It is also known as the Precession of the Equinoxes. The Clock of Giza shows that the year 2012 was the end of the low-conscious Iron Age and the start of the higher-conscious Bronze Age. 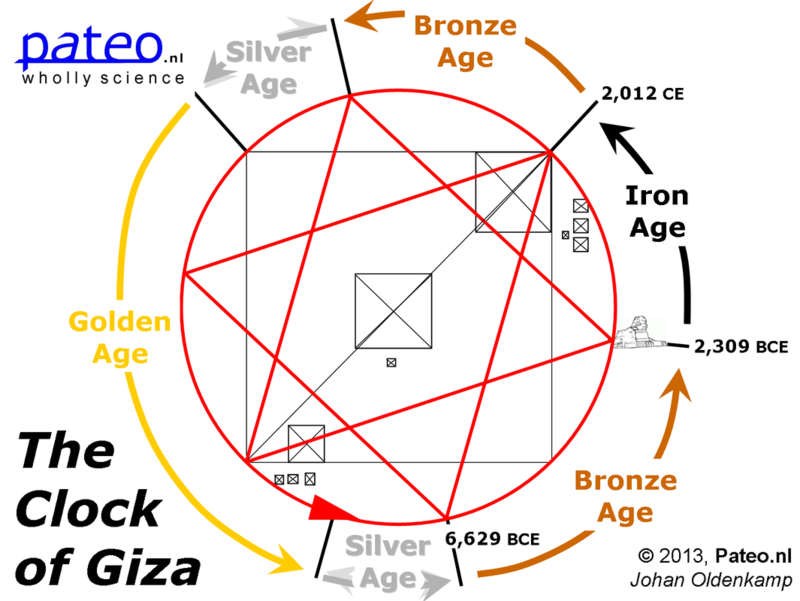 In the three videos as shown below, he explains this remarkable Clock of Giza. The Clock of Giza / FREE PDF. However, the content of the first two parts of this video presentation is not entirely correct. The additional third part corrects this mistake. For more on this, you can read this paper (pdf) or visit the website of WhollyScience.org. Avid researcher, author and film maker, Mel Ve, takes us on a journey though our hidden history, the origins of humanity, and the roots of our entire modern day CULTure. This band new series on CCN, gives a whole new perspective on Mythology, which helps us to understand where we are now, and the true nature of the controlling mechanisms that perpetuate the harvesting and enslavement of humanity. For those who want a little sneak preview into the upcoming series, take some time to watch PART ONE & PART TWO of Mel Ve’s series entitled CHASING THE DRAGON.